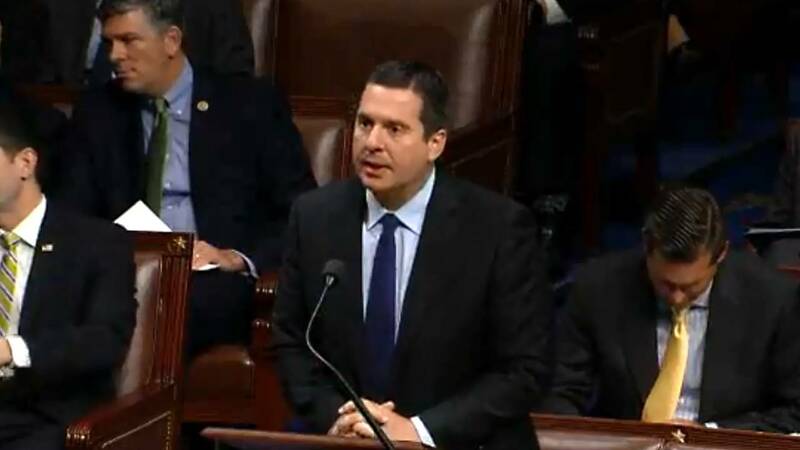 Some of the president's inner circle worry release of a memo by Rep. Devin Nunes that alleges the FBI abused its surveillance tools could distract Trump from preparations for the State of the Union. WASHINGTON (CNN) - President Donald Trump has told aides he wants a memo alleging the FBI abused its surveillance tools released as quickly as possible, two people familiar with the matter says, but has decided against doing so before the State of the Union address to avoid obscuring what the White House hopes will be a unifying message. Some members of his inner circle also worry the memo, now sitting in a classified room in the White House, could distract the President himself from speech preparations in the hours leading up to Tuesday night's address. Trump has made plain to chief of staff John Kelly and others within the administration that he wants the information released, and that message has been relayed to the Justice Department. "It's more a matter of when," said the person. "It won't be today, but it will be soon," another person said. Speaking on Fox News, Sarah Sanders said Tuesday the memo would likely not be released before the speech. "I wouldn't imagine that happens today," she said on "Fox and Friends." "We are incredibly focused on the State of the Union and the President wants to make sure that this is his moment to speak to the American people, and I think that is where his focus is going to be all day today." Sanders later issued a statement saying there are "no current plans" to release the memo. "The President has not seen or been briefed on the memo or reviewed its contents," she said. Trump's aides have been successful in convincing him that releasing the memo ahead of the speech would trample on his message, the person said. Trump has told advisers he wants to rise above partisanship during his speech, the person said. Some aides have continued arguing that even releasing it in the coming days would have a similar effect -- though Trump has largely dismissed those concerns. And the President has only five days to make the decision or the memo is automatically released. A White House official said the President, technically, wouldn't have to do anything this week and the memo would become public. But the official said that was not a likely course of action because the President was eager to play a role in the memo's release. Top aides have also told the President it is important the White House be seen as giving the Justice Department's concerns due weight by conducting the inter-agency national security review of the memo, along with a legal review. That review is already under way among advisers, an official said, and their findings will likely be presented to the President as early as Wednesday.